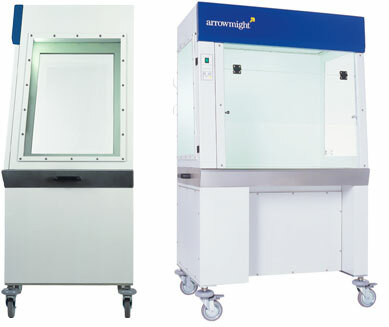 A Class II type mid size Procedure Cabinet, which gives a working area with negative pressure 1200mm (w) x 790 mm (h) and 750mm (d). The option of in-cabinet computer housing (tailored to fit your equipment) is available. When installed correctly the APC1.3 conforms to BS EN 12469:2000.